Our chocolate manufactury offers high quality handmade chocolate products and chocolate-making workshops, but we are more than an average manufactury. 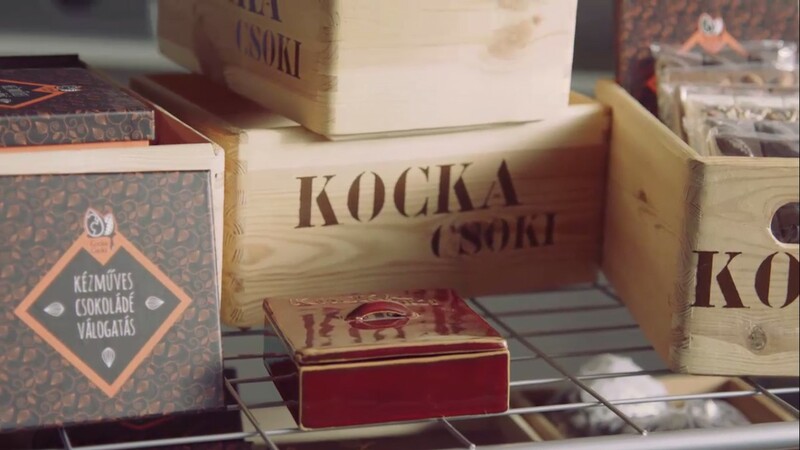 Kockacsoki is a social enterprise. Among all people with disabilities, people with autism face the greatest challenges in the labor market due to their lack of social and communication skills and inflexible routines. However, with the right support, they can perform valuable work, even in mainstream workplaces. The intention of our Social Enterprise is to improve the quality of life and promote employment possibilities of people living with Autism. In Kockacsoki we provide a complex employment program, where young people living with Autism can take part in the followings: coaching course to learn how to became more self-sufficient their daily life, making possible to gain work experience in our trainee programme and provide permanent employment. For all of our chocolates we use the best belgian chocholate and premium ingredients. We offer our chocolate bars, chocopops, truffles and chocolate selections as a gift for friends, corporate gifts, conference gifts, and for wedding as well. For more information please contact us by e-mail or visit our webshop. The goal of the Cube Point project is to create a place in Hungary where we can prepare the autistic persons for the independent life and working. We hope we can start a very well based, transparent programme which pointing ahead. Preparing the autistic persons for the independent life is a multistage process what will be available online and at the Cube Point too. We will evolve all these activities in a sustainable way, so our programme can run in a long term.